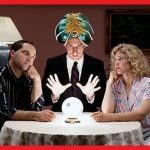 Take a look at the honest reviews and see why PsychicPower.com psychics should NOT be your choice for Psychic Readings! Learn More, Vote and Rate Yourself. PsychicPower.com is another odd little reading site that highly resembles a dating site more than anything else. This is jarring, and not exactly the sort of thing we want to see. They have 10 minutes for $5 deal now, but this is just one time deal, then you have to pay an average $5 dollars per minute. Numerous Negative Reviews (just google them): We found ourselves really struggling to dig through this site and find some positives about it. There isn’t much going on here at all. No Psychics Screening: Unfortunately, the psychics that they do have on this particular site aren’t exactly professionals. Mostly, they employ a number of amateurs to work on this particular site. It’s also apparent in their lack of a money back guarantee, which is going to make you start sweating the moment that you start getting some really unreliable readings. In general, this is a site that’s just not going to be able to hit your expectations very firmly. You’re going to end up much happier by avoiding it altogether, and we’ve proven that. Only thing… it’s NOT free! I have been a customer of Psychic Power Network since about 2007. It’s now 2015. That’s 8 years that I’ve been a very loyal customer who has spent alot of money using their services for guidance. I’ve come across bad readers and very talented readers. Over the past year I’ve been reading with one specific reader. I won’t mention her name. She is an extremely talented reader but we had a disagreement during our last reading on (1/29) and I was very upset when I got off the phone. I called customer service today (1/30) to see if I could possibly get a portion of my money back or refunded free minutes as a courtesy. Customer service took my complaint and told me management would get in contact with me. When I spoke to management they told me they dont refund money or free promo minutes. The female manager said she would not be doing anything to satisfy me and hung up on me. I called back and the same manager returned my phone call and I juat stated I was upset. I also stated I have worked in customer service as a retail manager for over 10 years and have done whatever needed to keep a customer happy so they would continue to do business with me. Again the female manager stated she would not be doing anything to make me happy. I hung up. I tried logging on to my account and the management staff canceled my account without my consent and claimed I threatened them and was going to dispute charges. I called customer service back numerous times so I could get my account reactivated. They told me they would pass it on to the management staff so the issue could get resolved. I called 3 times and Management is refusing to call me back. My account is still canceled and I had a small remaining balance from a deposit that I made into my account from MY CHECKING ACOUNT USING MY MONEY to speak to an advisor. They canceled my account without my consent, are refusing to call me back and stole money from me bc I now have no access to my account. 8 years as a customer and I am completely disgusted. That is a disgraceful management staff and a horribly run service with no business management skills. *Consumer Comment: Good for you! We read your feedback regarding Queen Isis and were disappointed that you called her a fake and referred to the service as Big time scam. Although psychicpower.com is but 3 years old, we have been managing and running several affiliate psychic companies for over 21 years. All our advisors go through an extensive interview process which includes testing by several of our managers who also serve as advisors and are our most experienced, gifted and sought after. Queen Isis has been with our group for 3 years and in comparison to many other advisors she has priced herself at the lowest end in an effort to offer a competitive price. We know that not every advisor is suited for every caller because there are different styles of reading and even different cultures, which is why we offer full refunds if a caller is not happy. We saw that you called our customer service department and was given a refund. We are sorry your reading did not go well and yes if a reading is not good then you may rate that reader poorly and leave a feedback as to the mechanics of the reading, but to call that reader a fake and a scam is unfair to the reader and in our opinion a poor reflection on psychicpower.com and its advisors on a whole.